The mapping and information company ESRI have just released this rather striking image. It shows the change in carbon emissions by country since 1990. Green triangles show the countries that saw fall in emissions over that quarter century, thus meeting their Kyoto agreement targets. 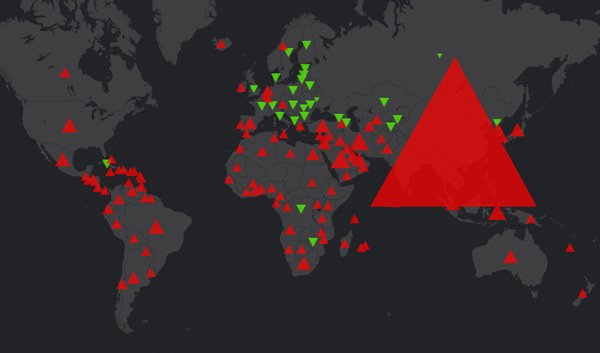 Red triangles show a rise. You can explore the Kyoto map here.